We really enjoyed the Baja Beer Fest in Tijuana last summer, so when I found out that Craft Beer Tasters were organizing a trip to the Ensenada festival this past Saturday there was no question but that we would head down with them. 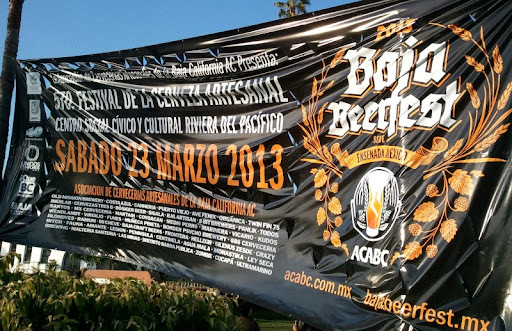 It was great to see the continued growth of the craft beer scene in Baja. While this fest maybe lacked some of the individual highlights we had at the Tijuana fest, the overall quality was at a higher level and the festival itself was much better organized. The food was good, too. We had some fantastic ceviche tostadas from La Guerrerense and an assortment of the always great seafood tacos from Tacos Kokopelli. 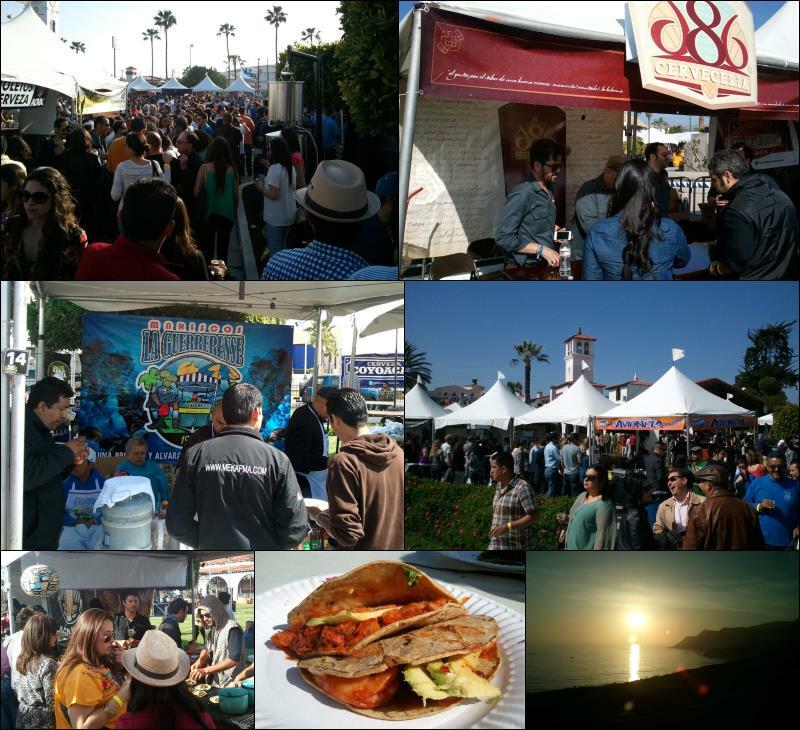 The Baja Beer Fest has become a regular thing - rotating through Ensenada, Mexicali and Tijuana - so keep an eye out for the next one and make sure to go! 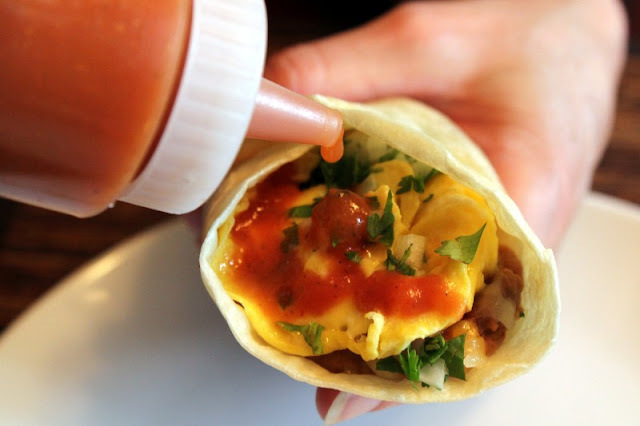 We posted our original recipe for Taco Shop Hot Sauce almost three years ago, and since then I've been continuing to making it so that we always have it on hand. I no longer make the chile paste separately unless I am using it for something other than hot sauce. I make a smaller batch size. The sauce can start going a bit weird after several weeks and making a smaller amount avoids having it last past its prime. I broil the tomato and the garlic now, rather than cooking them in a frying pan. It is easier and works just as well. Here is the updated recipe. Go make some right now! This makes enough to fill a small (8-ounce) squeeze bottle, with a bit left over. Use your fingers to break off the chile stems and break larger chiles into smaller pieces. Get out as many chile seeds as you can. 5 minutes). If your stove has an exhaust fan, you may want to use it. Place the toasted chiles in a large bowl, discarding any seeds that fell out during the cooking process. Microwave a cup of water for 2 minutes and pour it over the chiles. Place a small plate on top of the chiles to keep them submerged. Soak for about twenty minutes. Score both the tops and bottoms of the tomatoes with an "X" to allow the skin to peel away easily. Put the tomatoes and garlic on a sheet pan and put them in the oven on broil until the garlic softens and the tomato skin begins to blister (5-10 minutes). You may need to take the garlic out before the tomatoes. After cooling for a few minutes until you can safely handle them, peel the skin off of both the tomatoes and garlic. Remove any hard center bits from the tomatoes. Put the chiles and the garlic in a blender, along with about 1/4 cup of the chile soaking liquid and blend until it forms a smooth paste. Add the tomato and vinegar and blend until everything is well mixed. You may need to add more soaking liquid to reach the consistency you want. The amount of water will very greatly depending on how juicy your tomatoes are. Add oregano and salt to taste, giving a quick blend to mix.